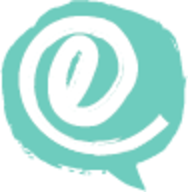 FederationFive – our weekly newsletter of the top five things going on in Jewish Atlanta. Please click on the headline to expand each newsletter below. June 19th - Becoming A Better Leader, Atlanta Organizations Win Innovation Awards, A New Vision Clinic and so much more! June 12th - Fortifying Our People, Launch Week at elementATL, Innovation Fund Winners, and more! 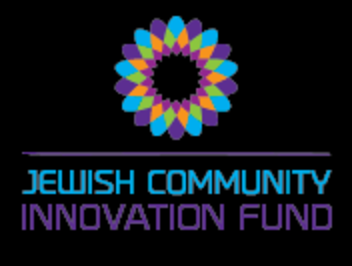 We are delighted to announce that nine groups will be receiving grants from Federation’s Jewish Innovation Fund to jumpstart an exciting range of new community initiatives. Of the projects getting the green light, several are brand new, some are from organizations less than seven years old, and some come from legacy organizations seeking to innovate. They all reflect the spirit of The Front Porch to create a thriving 21st Century Jewish Atlanta where all Jews and their loved ones can access community, timeless wisdom, global Jewish peoplehood, and Jewish ways to do good in the world. “There’s a huge appetite for innovation in Jewish Atlanta right now. More than 40 applications came in from our request for proposals,” said Jodi Mansbach, Chief Impact Officer. “After three rounds of consideration, a group of thirteen finalists were invited to make pitches to an Advisory Committee.” Click below to learn more about the winning project proposals. Intown families with young children can look forward to a full calendar of MJCCA eventsthis summer. 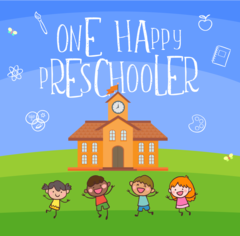 From PJ Library Summer Series events, to Shalom Baby Field Trips at Ponce City Market and pool and splash-pad playdates, MJCCA is helping Intown families find, meet and befriend each other. “Facilitating friendships and connections between families who identify Jewishly is what we’re all about,” said Lauren Chekanow, Intown Outreach Associate. “We’ve been lucky to partner with wonderful Intown neighbors like Wylde Center, Atlanta Botanical Gardens, The Temple, Shearith Israel, JKG, PJ Library, Bet Haverim and Anshi S’fard. Being Jewish means different things to different to people. MJCCA Intown programs are welcoming to all and designed to bring families together through all the ways they identify as Jewish, whether through food, culture, holidays, friendships, or neighborhood.” Contact Lauren Chekanow to learn more, or visit theMJCCA Intown page. June 5th - Confronting Addiction, PJ Library Radio, Host A Young Israeli and more! Marci Talarico, an Atlanta Jewish mom who has found support through The Berman Center, recently gave a talk about the mental health, anxiety and addiction issues that have plagued members of her family. Marci acknowledges the fear and shame that surround these problems, and the courage it takes to face them. Marci and her family have been on a five-year journey of honesty, insight and healing. We share their story to lift up the fact that good mental health and addiction treatment resources are available in Atlanta – and some, like The Berman Center, approach outpatient treatment through a unique Jewish-led lens of inclusiveness, understanding and spirituality. Read Marci’s story and learn how to find hope and help. New from PJ Library is PJ Library Radio – a fun and free new way to stream kid-friendly Jewish music to your family, in the car (with CarPlay or Android Auto), at home, or wherever your devices take you. Just like PJ Library books, PJ Library Radio curates Jewish music that inspires and educates children (ages 6 months to 8 years) and their parents. Download the free app here. For the past 15 years, Temple Sinai’s Hineini (Here I Am) Committee has been making accessibility and inclusion for people with disabilities a top priority. 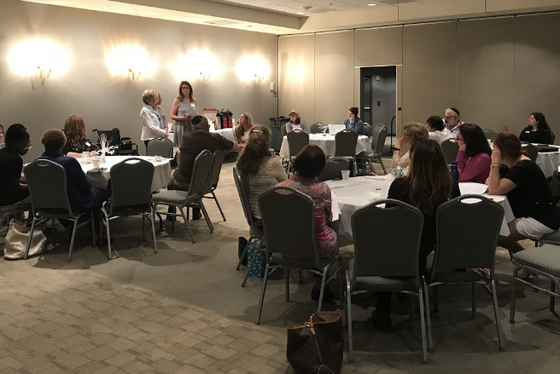 In partnership with the Jewish Abilities Alliance (JAA), they convened a community meeting to share what they’ve learned about making congregations welcoming to all. Seven other synagogues, along with members of Friendship Circle, discussed their inclusion challenges and opportunities. Among them, getting more students with disabilities into our day schools, providing braille prayer books and signage, replicating religious services targeting people with dementia, and creating economies of scale by sharing contractors to install handicap modifications. “This meeting brought many important voices to the table,” said JAA Manager Annie Garrett. “We took a significant step to advance the inclusion agenda in the Jewish community. Real momentum came out of this discussion, and through collaboration, networking, and sharing resources, we’ll continue this work throughout the Greater Atlanta area.” To get your organization involved in this inclusion initiative contact Annie Garrett. As we bid a fond “L’hitraot” (see you soon) to Or Shaham and Lior Bar, our community Shinshinim for the past year, we’re preparing to welcome eight new Shinshinim(Israeli Young Educators) to Atlanta in August. 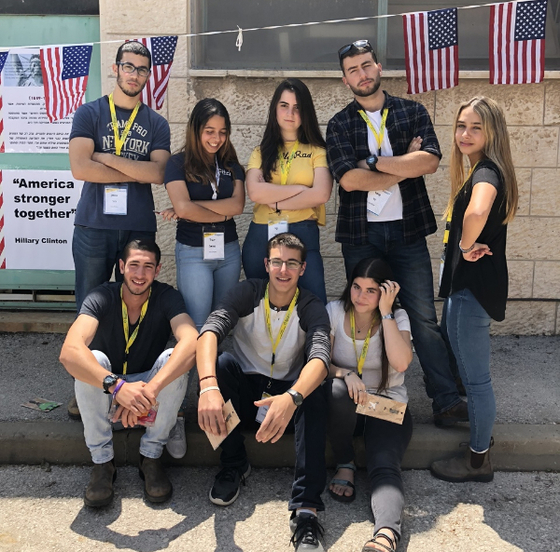 These 18 and 19-year-old Israelis are taking a “gap year” after high school and spending it in Atlanta doing cultural outreach to our schools, camps and synagogues. They need host families! 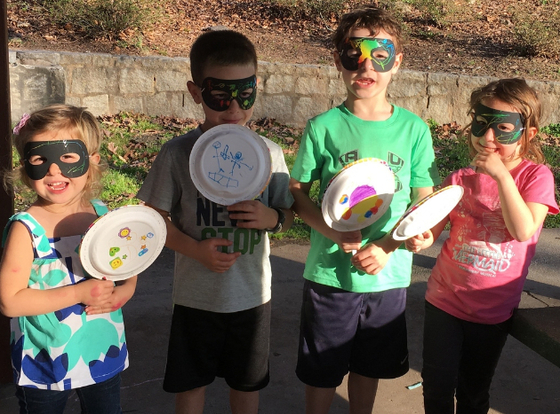 We’re looking for families across the spectrum of Jewish Atlanta, who can be caring host parents, for one educator, for three months at a time. 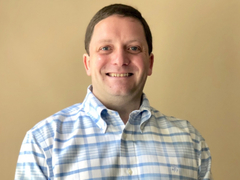 Ezra Flom coordinates the program in Atlanta for the Jewish Agency for Israel. “It’s an amazing Israeli immersion opportunity for everyone,” he says. “When you invite a Shinshin into your home you invite conversations about Israel, Israeli current events, and culture. And you make a friend in Israel forever.” See the host family requirements and make a young Israeli educator part of your family! Zane Blechner has the soul of a giver. Professionally the 38-year-old works with elderly refugees through Jewish Family & Career Services, but his generosity comes from growing up in a family of givers. “Charitable giving was always important to my family. In my early 20’s my mother began telling me about the contributions she made, encouraging me to learn about the organizations she supported.” About a year ago Zane opened a Donor-Advised Fund (DAF) to direct his philanthropic giving through Atlanta Jewish Foundation. “What keeps me going is outcomes. I’m drawn to refugee and immigrant causes because refugees come here with nothing and five years later they’re putting a down payment on a house. I’m also big supporter of Jewish human services, like JF&CS, and I think it’s important to support our synagogues. Something I love about having a DAF, is the collective power of our Jewish community. When I give to a non-Jewish cause, the check says ‘Atlanta Jewish Foundation.’ There should never be any doubt about the generosity of the Atlanta Jewish community,” he says. To open a Donor-Advised Fund through Atlanta Jewish Foundation click here or contact Cindy Weik. May 29th - Interfaith Inclusion, The 112th Annual Meeting, PALI Graduation and more! How can we help our local institutions more warmly embrace interfaith couples and families? How can we create more supportive policies and practices? That’s the focus of a year-long national initiative from InterfaithFamily, targeting day schools, synagogues and Jewish organizations. It’s called the Interfaith Inclusion Leadership Initiative (IILI) and it kicked off last week at Federation with a full day of dialogue and text study for a cohort of local leaders. The work aligns perfectly with the findings of The Front Porch to make Jewish Atlanta more welcoming to all Jews and their loved ones. One participant, Rabbi Micah Lapidus of The Davis Academy said, “Davis has embraced interfaith families since the beginning. Participtaing in IILI reflects an ongoing commitment to be reflective, proactive, and learn best practices. We wanted to invest institutional time and energy in this program and found the in-person training to be thought provoking and affirming.” Rabbi Malka Packer-Monroe, who heads InterfaithFamily Atlanta, added, “Through honest reflection, we explored where we are at this moment and where we want to be.” The Front Porch pushes us to honor everyone’s Jewish journey, and ILLI is another way for organizations to become more accepting, more flexible, and more welcoming. Friendship Circle of Atlanta is dedicated to creating a friendly and inclusive Jewish community where everyone feels a sense of belonging. Friendship Circle embraces and supports the disabilities community by deploying a vast network of volunteers who promote inclusion through social, educational and Jewish programming. 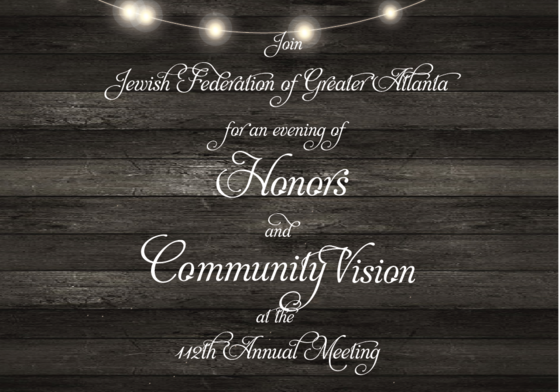 Don’t forget to RSVP for Federation’s 112th Annual Meeting, Wednesday, June 13 at Atlanta Jewish Academy. It’s a celebratory evening that underscores our vision for a more connected, welcoming and collaborative community. We’ll honor Lois Blonder with Federation’s Lifetime of Achievement Award, along with five outstanding community volunteers. We’ll say thank you to outgoing Board Chair, Joel Marks, install incoming Board Chair, Mark Silberman, and vote on a new slate of Officers and Trustees. Doors open at 6:30 pm, meeting begins promptly at 7 pm, dessert reception at 8:30 pm. We hope to see you there! 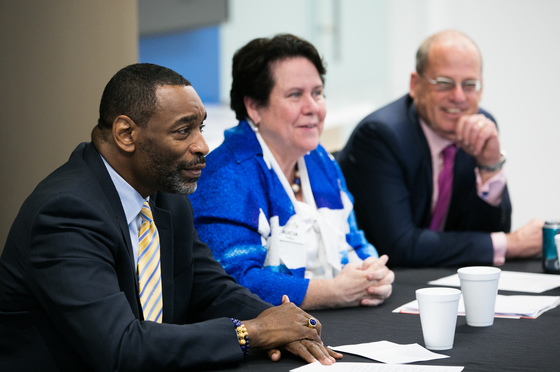 For many years Atlanta Jewish Foundationhas been part of a remarkable joint program with Community Foundation for Greater Atlanta and United Way of Greater Atlantato train and inspire an elite group of philanthropic advisors. The Philanthropy Advisors Leadership Institute (PALI) just graduated its 8th cohort of 22 advisors from the disciplines of accounting, finance, insurance and law. This year, participants were challenged to focus on how philanthropy can address Atlanta’s most intractable problems — income inequality, housing and homelessness, education and transportation. They toured the Atlanta BeltLine, met with decision-makers at the Marcus Foundation, discussed the importance of values in client relations, and more. “PALI is a key example of the important work Atlanta Jewish Foundation is doing with local partners. It’s a model for other communities because it shows that a rising philanthropic tide lifts and inspires us all,” said Itai Tsur, VP of Atlanta Jewish Foundation. The program has more than 120 engaged PALI alumni who continue to network and participate in the Balser Symposium and the Balser Professional Advisor’s Council (BPAC).